Promote top brands like Creedmoor, Hornady, Dillion, RCBS, and more! We just partnered with Creedmoor Sports and their new affiliate program is live in AvantLink. Creedmoor Sports is where precision shooters go to buy their gear, and we couldn’t be more excited about introducing this program to you. Working with us, you will have access to exclusive affiliate promotions, new product information, reviews, and the opportunity to promote top industry brands like Creedmoor, Hornady, Dillon, RCBS and more! Creedmoor Sports has been the top resource for precision shooters for over 40 years. 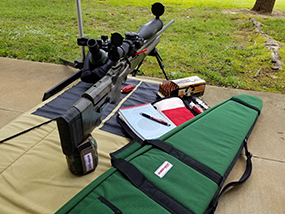 They are a team of shooting enthusiasts who put the customer first and constantly strive to develop the top-performing products in the market.Creedmoor Sports caters to precision rifle shooters, reloaders and hunters. You will have access to over 5,000 hand-selected products when you join the Creedmoor Affiliate Program, and promote trusted brands like Creedmoor, Redding, Berger, Lapua, Wilson, Dillon, RCBS, Hornady and more. The Creedmoor Way is the philosophy behind their brand, and dedicated customers and product quality are the driving forces behind their success.